I have this thing that I can't get excited about a particular festivity until we are in that month i.e. I don't go nuts about Christmas until the first of December. 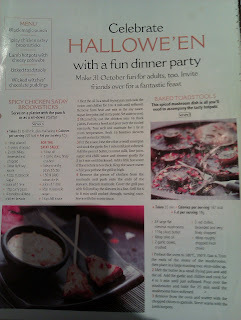 That being said I can start to really look forward to Halloween. I should be an American because it is really big over there and I just love it. I love to be scared. My cousin Helen used to tell us the most fabulous horror stories when she stayed over at ours- we were only little at the time. Then, there was the incident of my half sister Carol getting a right telling off for showing me and Becky 'Salems Lot when we were small. We were bound to grow up with a love of horror. Even now the whole family reads Stephen King (except dad). Watching scary movies has kind of lost it's shine not only because there are no really good horror movies being made these days but Craig sits there hurrumphing all the way through. I never understand how he is completely unable to suspend his disbelief. He has just admitted to The Ring being 'pretty f**king awful' though. We try to make an effort at Halloween. When mum and dad were running the pub, there was always a bit of do to mark the occasion. 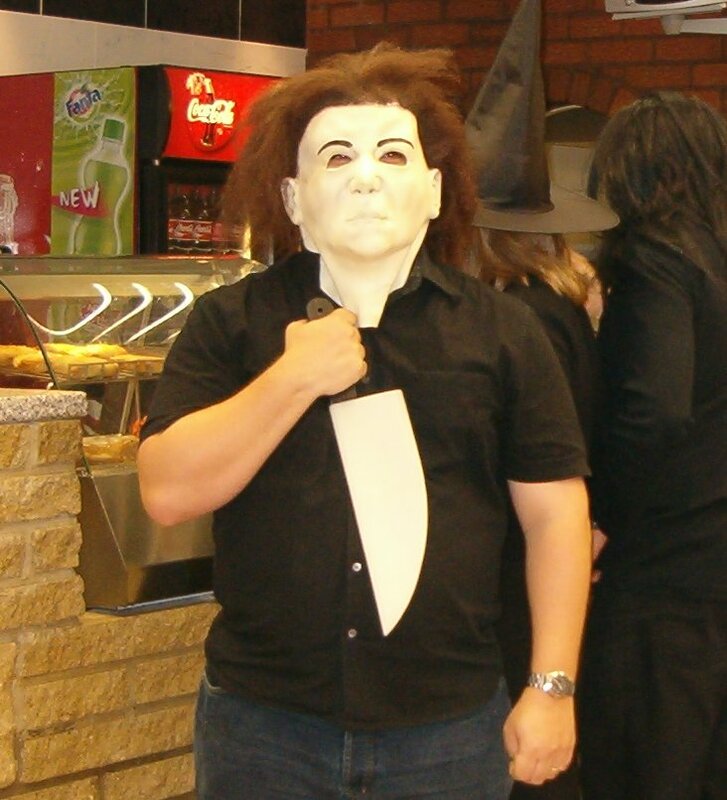 Here's Halloween 2004, This is Nick managing to make his inanimate mask look simple, clever. This is the first and last time Craig and Nick have full head maks. They were very hot and uncomfortable and struggled to drink, more importantly. Craig has a Mike Myers mask (from the original Halloween movie) It looks pretty damn creepy. 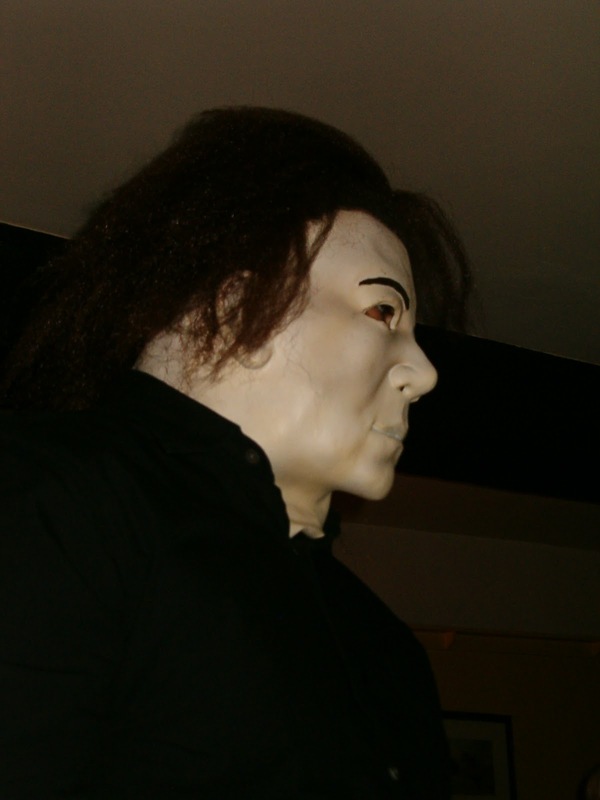 The original mask for the film was apparently a William Shatner mask sprayed white- a bit insulting to poor Shatner. By the end of the night and in the harsh light of the kebab shop, the effect is less than special. Amusing, none-the-less and this provided Craig with a Facebook profile picture for a while. Me and Nic opted for fantastic witches tights bought from the 'Wizard's Den'. 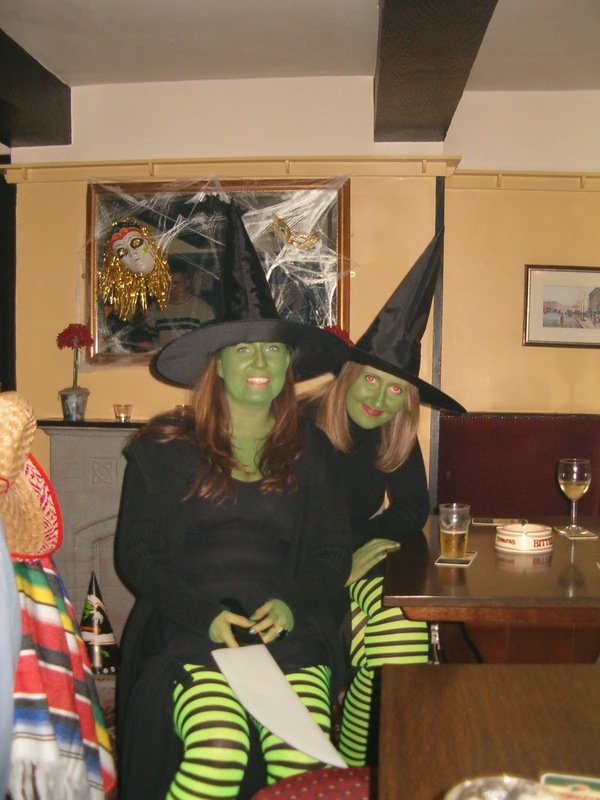 The Wizard's Den is the fancy dress shop in Darwen- they have a great business and are always busy. 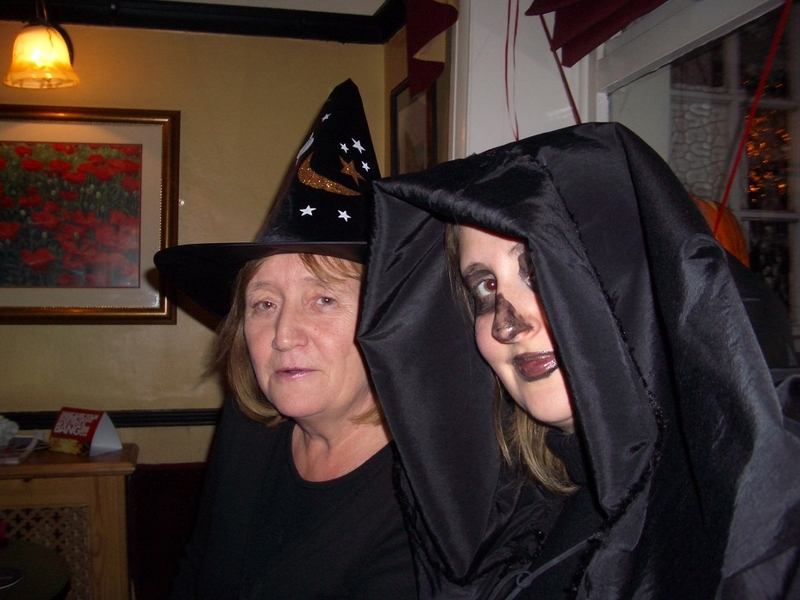 It is run by Pat who used to come in the pub and her daughters Heidi and Suzanna who used to waitress for us. The green paint was a pain in the arse and by the end of the night was smudged over everything- never again. 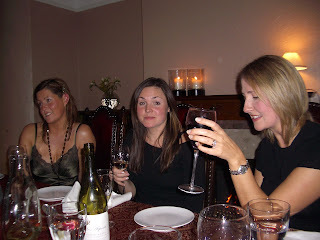 The next year we had a bit of a 'dinner do' at ours on the friday. 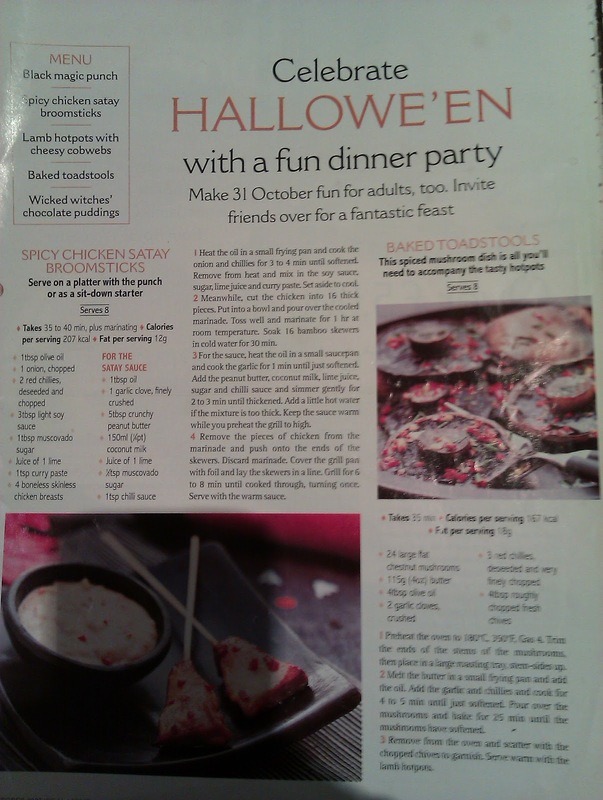 I used to love the seasonal menus in the 'Ideal Home' magazine. I have kept all of the good ones. This menu was a stonker of a success with a beautiful Lamb stew. 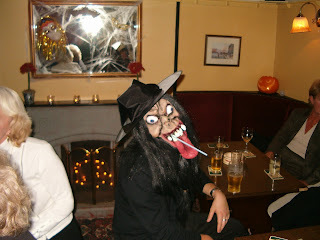 Then, the next night was The Rock fancy dress do (that is the pub not Alcatraz). I had been at work on a long day, which was a bit of a bummer but gave me the opportunity to 'borrow' both mine and Craig's costumes. 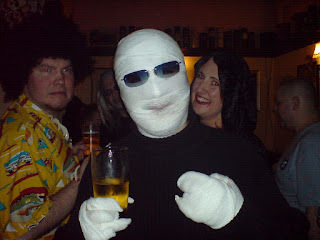 I was going as Samara from the film 'The Ring' and Craig was going as a mad surgeon. I had a hospital nightie on and had sent the guys out to buy a black wig and put egg whites in it. Craig had a surgeon's gown. Add a wood saw and video tape and we're good to go. That year, Dad had a firework display and it was scary to watch- like the beginning of an episode of Casualty. You were just waiting for the horrendous accident. It crossed my mind that I would be on a sticky wicket if I had to go to A and E dressed in one of their own nighties. Luckily, that never happened and our costumes were snuck back into the hospital laundry next shift! Becky's mum Donna and Nicola in a cape that she made herself- I was very impressed, wonder where that cape is now? 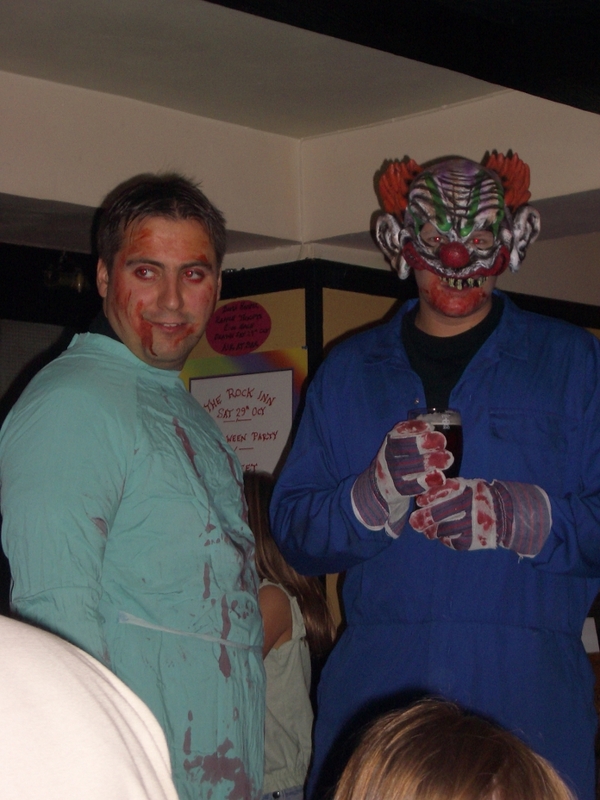 Nick opted for a rabid looking clown in a boilersuit. 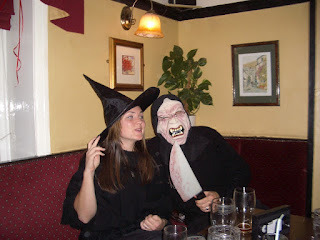 Becky looked glamourous as a witch with James doing the full head mask thing- don't think it stayed on long. You can't smoke cafe-cremes through that. 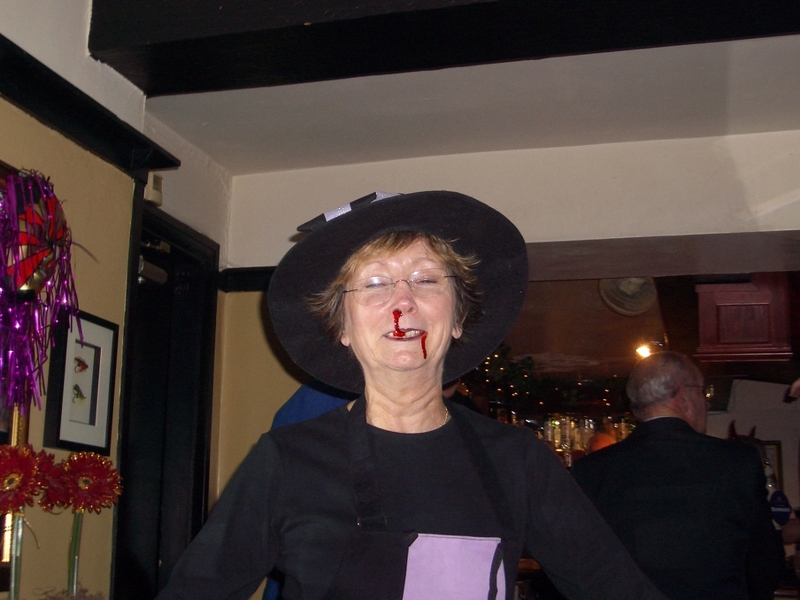 Here's mum looking quite foul with just a bit of ooze. 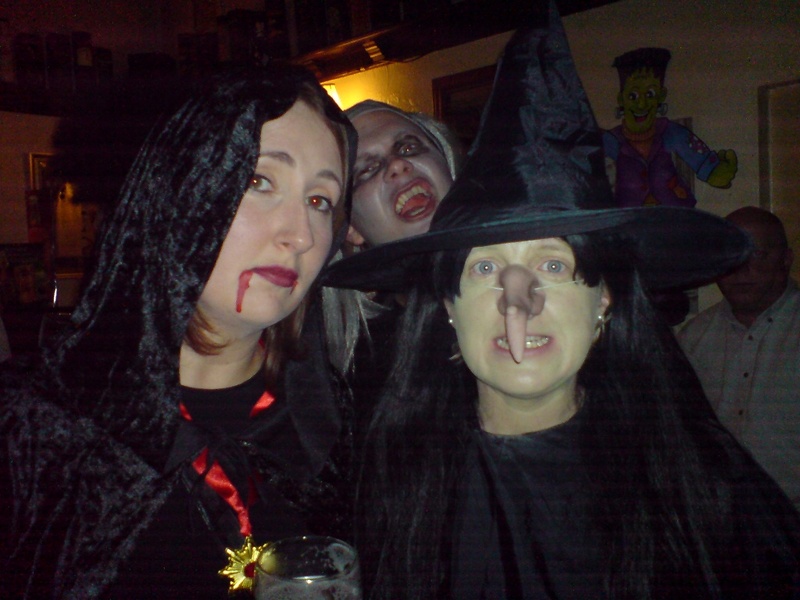 In 2006 we were down at the 'Cemetery' pub- yeah really. Spev and Karen (front right and below left) live just down the road and had a little soirée. Spev and Karen's house has a fully kitted out bar in the basement, crazy but good for such an occasion. Luckily the NHS stepped into the breach to help Craig with this Invisible Man outfit. For some reason Spev had a funky afro and Hawaiian shirt but he does sing to his own tune. Finally, on the fancy dress front, a Mamas and Papas skeleton sleepsuit from Ebay for our new reveller.